This original postcard is in very good condition. 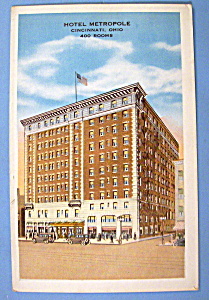 This Vintage Postcard features "The Hotel Metropole, Cincinnati, Ohio". This postcard measures approx. 3 1/2" x 5 1/2".